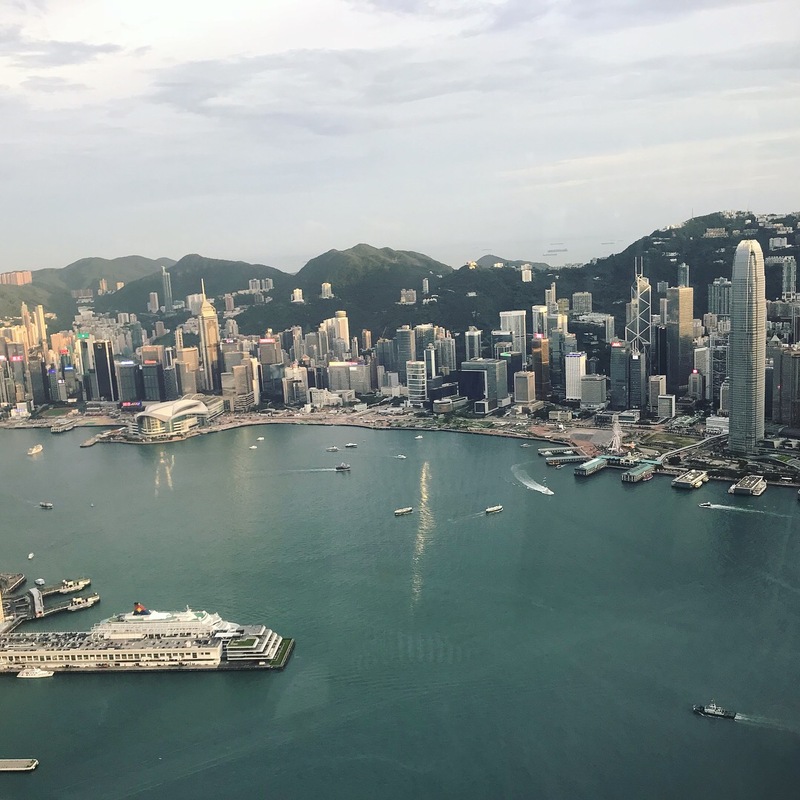 I was given a surprise break from work, and Hong Kong, a long-desired destination and a mecca of architecture and dim sum, ended up being a cheap last minute ticket. 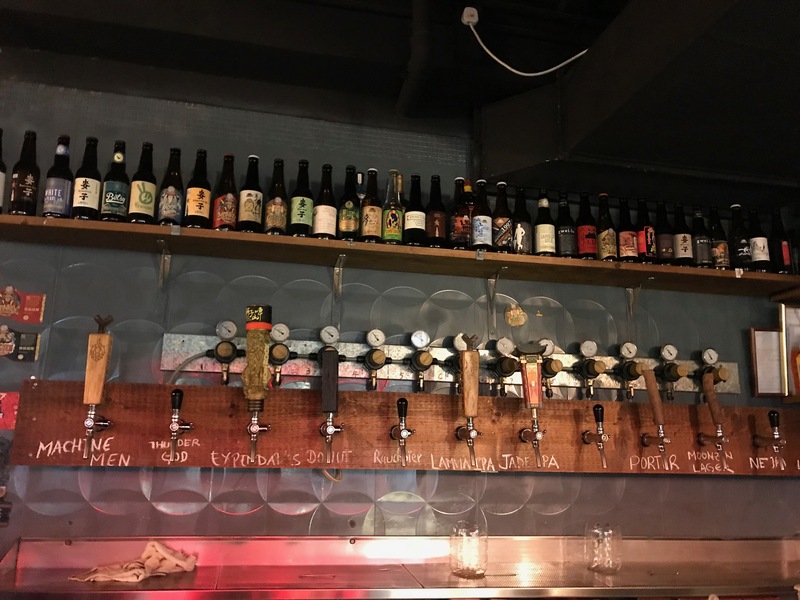 While the IFC, ICC, BoC and others lived up to the lofty expectations I’ve had since reading about their designs as a young child and now adult, I was surprised to find a thriving craft beer scene in the city. Alas, I did not find some unknown hazeboi Treehouse killer, but I did find a lot of interesting and well-crafted beers, as well as bartenders and shop owners who were quite passionate about their pints. There are a couple ways to get to and from the airport, but the airport express train is the most convenient and by far the fastest. It ends up being about $14 each way, and I think the price is quite fair compared to how much time you could end up in a taxi or on a shuttle in traffic. The train will drop you off either in Kowloon or Hong Kong, and there are free shuttles from there to many of the popular hotels. If there’s not a shuttle, the metro system is cheap and works incredibly well, or taxis are more affordable than most Americans would be used to. Beer is a little pricey here (think LA/NY prices at bars), but the ability to find incredibly delicious cheap food offsets the costs. In fact, some of the world’s cheapest Michelin star restaurants in the world are in Hong Kong. Tim Ho Wan, DimDimSum, Mak’s Noodles, Kam’s Roast Goose are all very affordable, casual, and most important, delicious. 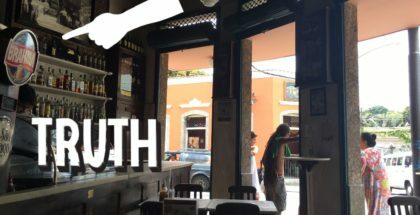 These are the well-known and popular spots, but you can find great chomps around every corner here. If you’re only here for a day or two, I would look into staying somewhere closer to the Central/Soho area. As mentioned above, the metro is great for getting around the city. That said, if you’re only here for two days and two nights, a day or two, it will behoove you to stay somewhere closer to the Central/Soho area. 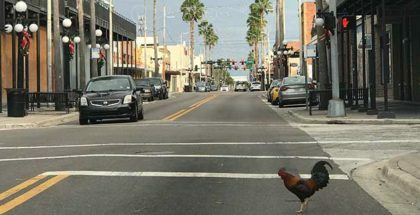 You’ll spend less time in transit and more time exploring the city and/or the tap lists. You can visit breweries directly here, but most are not set up to serve as a tap room. 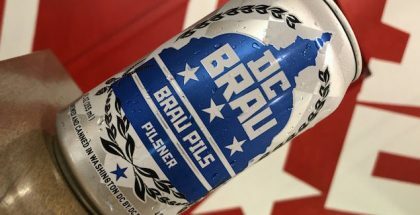 They may offer beer to go, or some small samples, but you’re better off visiting the bottle shops and bars, many of which are owned by the breweries themselves, so your beer is poppin’ fresh. If you’re some form of heretic and occasionally like to drink something other than beer, there are a lot of options here. People in Hong Kong love a good drink, and prowling through the Soho cocktail lounges will have something for everyone (I recommend the Iron Fairies for an interesting vibe, or you’ve always wanted to see what piles of metal fairies looks like), but if you want a drink with a view I suggest crossing the harbour and heading up to the top of the Ritz Carlton at the ICC and ordering a G&T there around sunset to soak in the view as the city starts to light up. The cost of the drink ($25) is pricey, but people are paying almost the exact same price to go to the observation deck 18 floors below, sans delicious beverage. Temperature Controlled Taps — Am I in Denmark? 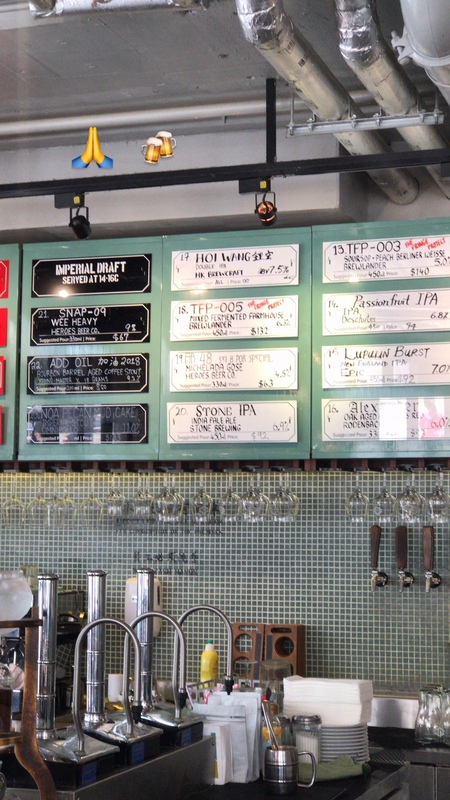 The first stop I went to, which happened to be a stone’s throw from my hotel in Causeway Bay, was Second Draft. Second Draft is a gastropub was founded as partnership of a few local brewers, and I would compare it to being the local Mikkeller bar. 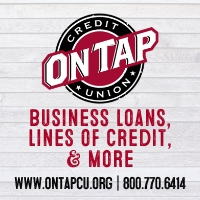 They take care of their beers here, with three different serving temperatures plus some casks, and they provide some creative gastropub dishes to accompany them. They have multiple serving sizes, and had a few tasty beer and food pairing on offer as well, so you can choose your own adventure. The tap list was split about 50/50 between local beers and interesting imports. Living in the UAE, a literal and figurative desert for good beer, I was just giddy at the options I had. I ended up going with a soursop & peach Berliner Weiss from a featured brewery Brewlander from Singapore, a oaked rye ale from local superstars Young Master Brewing, and appropriately had an Omnipollo Noa Pecan Mud Cake for dessert, served at proper stout temperature. This is a great casual place for lunch and a few smaller but quality pours from interesting taps. Post-lunch I jumped on the Wan Chai Ferry (I think the views here are slightly better than the more popular Star Ferry, but you can’t go wrong with either) and headed over to get a drink on top of the ICC that I mentioned above. After wandering the Temple Night Market for a bit, I had a little time to kill before the massive light show that occurs every night at 8pm, best seen from somewhere in Tsim Sha Tsui. 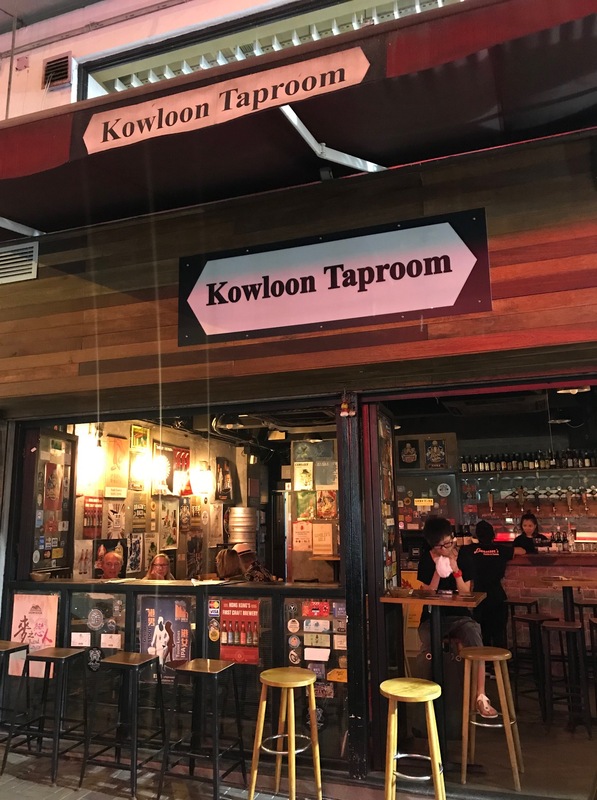 Just a few blocks from where I was going to watch the show, I stumbled into the Kowloon Taproom. Kowloon offered roughly 12 taps, mostly locals, and the ability to order a tasting flight of any four. The pub was open to the streets, which made my flight a delight in the pleasant summer evening weather. Here I was able to sample a lychee sour from Meow Beer, IPAs from local stalwarts Seven Brews and Moonzen Brewery, as well as maybe my favorite local beer of the trip: Hangry Donut Hopiscus Wheat from Heroes Beer Co., a Modern Times Fortunate Islands-esque hopped-up wheat beer. While I will always be pumped whenever the words “skyscrapers” or “laser light show” are involved, the flight definitely provided that extra spark to make the Symphony of Lights even more enjoyable, and the thousands and thousands of people more tolerable. 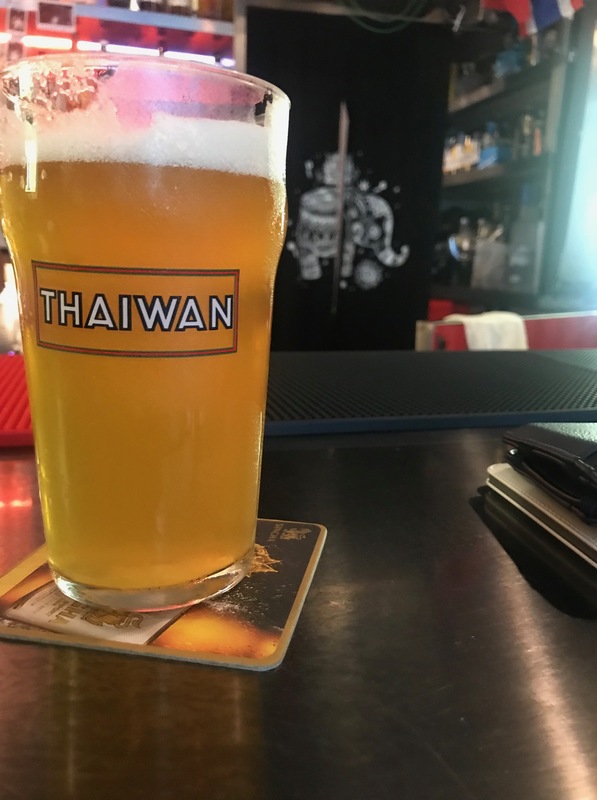 If you’re looking for more local beers and a bite to eat, I suggest heading a few stops up the metro to Mong Kok and hitting up Tap – The Ale Project for some fusion sandwiches, or if you’re wanting your mouth to feel the Sichuan devil’s pepper kiss, making a reservation at the nearby Qi – Nine Dragons, a reasonably-priced Michelin establishment with a great view of Victoria Harbour. You’ll need some light beer and need plenty of it to hose down the hellfire that you’re putting in your mouth. If you’re here during the weekend, I cannot recommend more highly booking a spot for brunch at Duddell’s and going all out. For less than $100 you can get an unlimited sampling of exquisite dim sum, astoundingly paired with an unlimited amount of Veuve Cliquot and other beverages. But this is about craft beer, so I hope you ignored that above statement and instead head over to HK Brewcraft. This fantastic shop, located in the heart of Central, had a great selection of beers from around the world (incredulously to me there were fresh bottles of Westy 8 and 12, as well as 3F Homage available), as well as all the local staples. Knowledgeable and friendly staff, and stocked with beers and home brewing supplies, I challenge you to leave here without dropping a few HKDs. 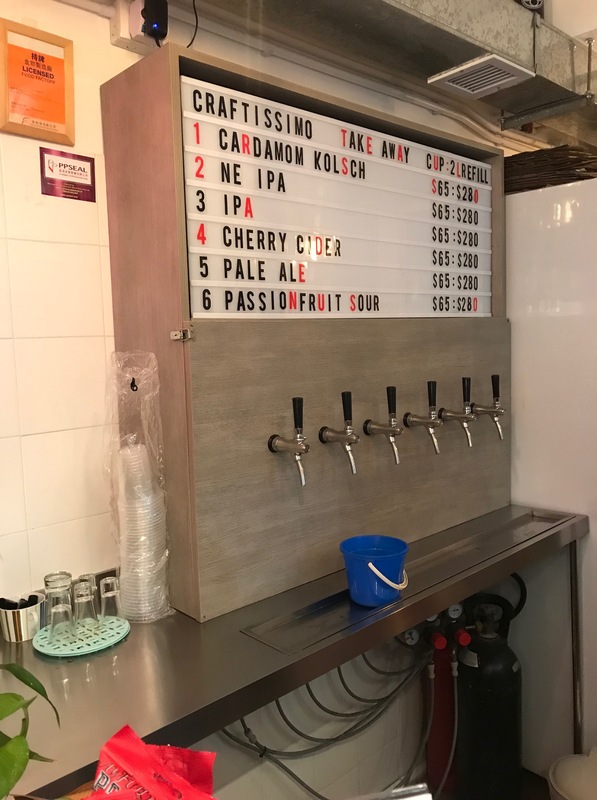 Another fantastic bottle shop is Craftissimo, in the nearby neighborhood of Sheung Wan. 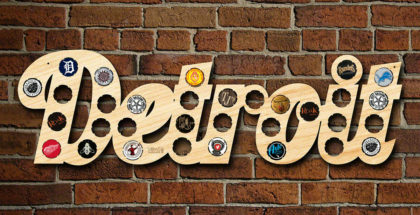 Offering a smorgasbord of bottles and cans, to take away or enjoy in store, Craftissimo also has a few less-encountered local beers on tap to enjoy. 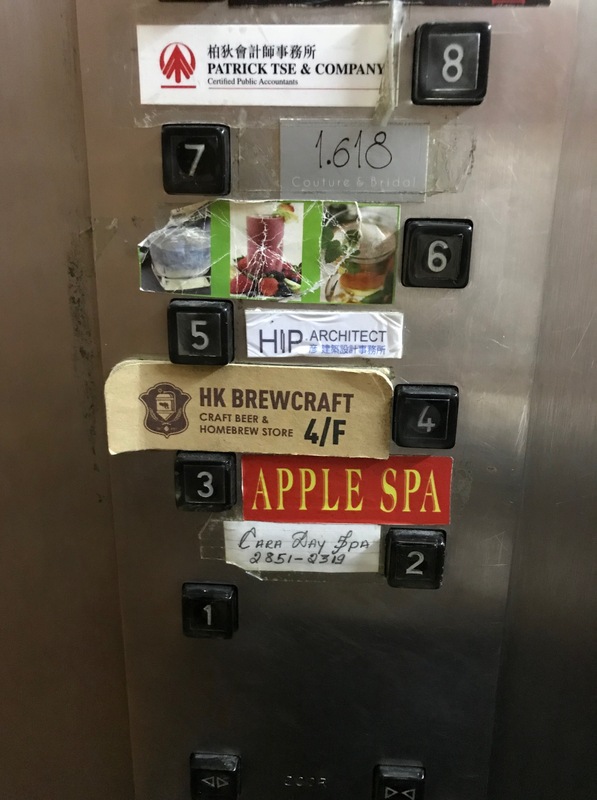 I had a delightful hazy pale ale from Carbon Brews, an up-and-comer in the HK scene I hadn’t seen on tap anywhere else, which was accompanied by great conversation about a recent trip to Monkish that the proprietor had just returned from. Sauntering out, I hit the streets and took a quick walk to The Roundhouse in Central where 25 taps and a very enthusiastic bartender awaited me. If you can’t find something you’ve never had before in this place, then I’ll see you at the end of our AA meetings. Great selection and some good BBQ if you’ve had your fill of dim sum, goose and spicy crab at this point. There are a few other beer spots in the area here: Peel 65, is on the same street and offers good prices on native beers, Blue Supreme which has a vast selection of sour and farmhouse beers (at a small premium, of course), and De Belgie where a more Flemish flare awaits. 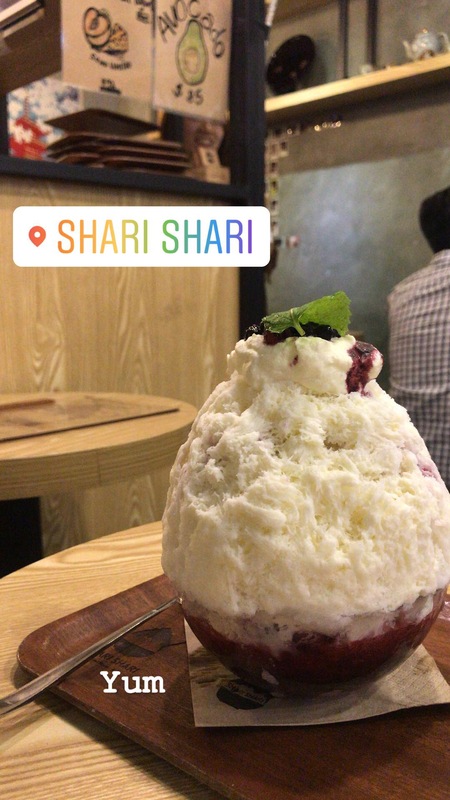 But you would really be missing out if you didn’t try out some of Hong Kong’s famous desserts to cap off your evening: Oddies Foodies makes creative sundaes out of the famed Hong Kong Bubble Waffle, but if you only have to choose one sweet I recommend Shari Shari Kakigori House, where you will get a shaved ice invention like nothing you’ve had before. I don’t like sweets and I had to return the next day to try out a different flavor. Or I was trying to pack on some pounds for my next sumo tryout, I’m not entirely sure. Hong Kong is an exciting city, well worth your time. While there aren’t a lot of cities in Asia known for their beer, Honkers definitely brings the heat, in more ways that one. If you are located in Asia and need a reprieve from the endless supply of Chang, Tiger, Tsingtao, etc., this is a great spot to go for the weekend and remember what a decent drink should taste like.